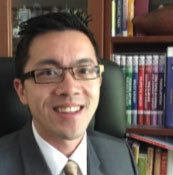 Mr. Eric Ee is a general and colorectal surgeon with experience in advanced laparoscopic surgery and endoscopy. He graduated with first class Honours from the University of Melbourne, and pursued training in general surgery through the Royal Australasian College of Surgeons (RACS) at Western Health. He was conferred as a Fellow of the College in 2013 and undertook further training in colorectal surgery at Monash Health. Mr. Ee has public appointments at Monash Health (Dandenong, Moorabbin and Casey) and Eastern Health (Maroondah and Angliss). He regularly visits West Gippsland Hospital, Warragul and is accredited at Berwick St. John of God, The Valley Private and Knox Private Hospitals. Mr. Ee puts his patients foremost, treating them with compassion and dignity. He takes the time to explain disease conditions and the management process to all his patients, of which they are highly appreciative. He strives to provide excellent care, with effective up-to-date therapy. Eric speaks fluent English, Malay and Hokkien, and can order a reasonable meal in French.